​how does it work and should you turn it 'on'? 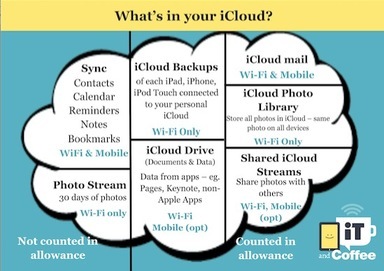 What is iCloud Photo Library? How is it different to the Photo Stream and iCloud Sharing that Apple already offer? Should you turn it on? What do you need to know before you turn it on? What happens when you turn it on? What do you then do on your other devices - Mac, Windows, other mobile devices? Book online by following the below instructions. If you are an iTandCoffee Club member, attendance at this information session is free - but make sure to enter the Coupon Code provided in The ClubHouse - click/tap here to view this code. For non-members, the cost of this information session is $30. If you would rather not book and pay (for non-members) online, book by contacting iTandCoffee at bookings@itandcoffee.com.au or on 1300 885 420. Below is the calendar of classes for this particular topic. Our calendar and bookings are managed by a system called Acuity Scheduling. View the dates on which this session will be run in the below calendar. Available dates are shown in bold text. Use the > and < symbols to move between calendar months. Click on the date that you require to see the start time and availability of spaces at the session. Select the Pay Now button to pay using your credit card (using a Secure facility called Stripe). If no classes are currently scheduled for this particular class, contact iTandCoffee on bookings@itandcoffee.com.au or 1300 885 420 to register your interest in a future class. We will then organise a class as soon as we have enough people registered.